The inspiration behind this poster began with the desire to shoot a company photo. Coupled with our themed approach to performance-based Design/Build remodeling, and the official movie posters already adorning our design center, the most challenging decision was: which movie poster to imitate. 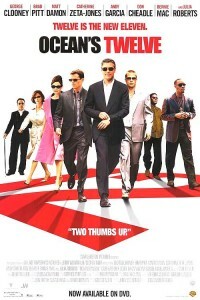 In the trilogy Ocean’s Eleven, Twelve and Thirteen, the number of characters necessary to pull a heist was from the perspective of the mastermind, Danny Ocean. In the first movie, he needed 11 and so on. Because a total crew of 13 matched the concept of Ocean’s Twelve, it seemed logical to encourage our crew to dress up in thrift store outfits and get them into character. From left to right, our cast of characters include pickpocket, computer hacker, casino dealer, spy, financial backer, grease man, organizer, logistics planner, driver, bait, surveillance specialist, bouncer and explosives expert. You have to explore our website further to find out what they really specialize in. Shopping for the outfits at Value Village in Woodinville lasted all of 45 minutes on a pre-Halloween Saturday morning. Each character emerged from the style of the selected clothing matched to their appropriate sizing. The goal was to get 10 outfits as close to the original movie poster as possible for under $200. Our grease man was discovered when he selected his jacket from the ladies section. Working with our photographer on the set was a lot more fun than anyone expected. Adult beverages were on hand to assist with keeping it loose while getting into character. To simulate the effect of walking, the crew was choreographed to step all at once, repeatedly. The result of our session was a selection of 15 top photos from the roughly 50 shots that was narrowed down to a single poster-worthy exposure. More importantly, this event will be remembered as a unique experience that enhanced camaraderie and a greater sense of team. Clever content: The word ‘creative’ is worth 12 points in Scrabble. Annual Vendor And Trade Awards / Recognition = AVATAR. 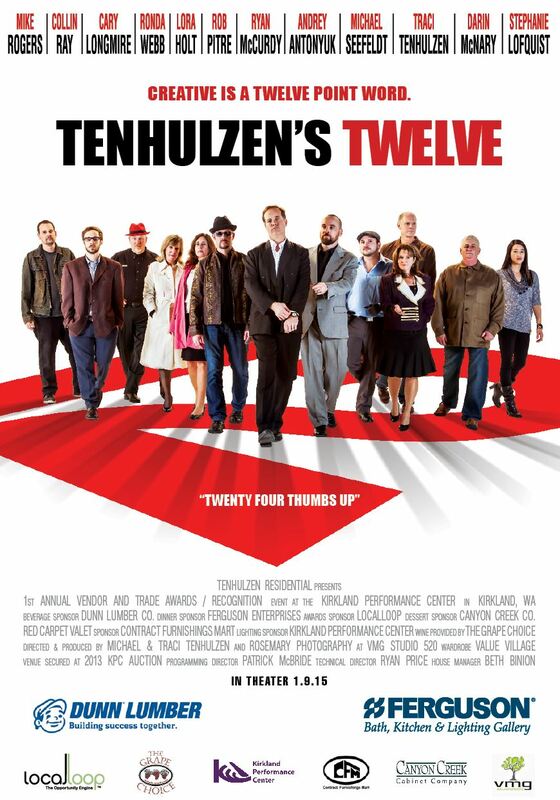 12 employes = 24 thumbs up.